The Mobile World Congress 2018 was an interesting event for Sony Mobile and fans. We were expecting the Japanese brand to introduce a top-range smartphone called the Sony Xperia XZ Pro. Instead, we got a pair of high-techs device with a modern design, the Sony Xperia XZ2 and the XZ2 Compact..
Last month at CES 2018, Sony Mobile showed with the Xperia XA2, Xperia XA2 Ultra and the L2 the first tentative steps of the Japanese electronics group's future smartphone strategy. With the new Xperia XZ2 and X2 Compact, Sony continues their mission to modernize without compromising on the quality of their products. In fact, the new Xperia models are serious rivals to the Samsung Galaxy S9. What do you think of Sony Mobile's direction for 2018? Let us know in the comments! We'll be putting the new Xperia devices through their paces as we work on in-depth testing for our final reviews. In the meantime, the XZ Pro disappears into the mist. Below you can find the rumors and leaks concerning the mythical device that we gathered before MWC 2018. Design: what will the Sony Xperia XZ Pro look like? It's only few days before Barcelona opens its doors to the world's largest mobile phone trade fair, the Mobile World Congress. In addition to the Galaxy S9 and S9+ from Samsung, Sony's Xperia XZ Pro is also likely to be a highlight. But in order to really be considered a rival to the Galaxy S9 and regain market share, Sony must follow 2018 smartphone trends, some of which the competition already established in 2017. One of these trends will be the use of an 18:9 display format. In the past few days, a number of benchmark entries have confirmed that the Japanese firm will indeed adopt the trendy portrait format. 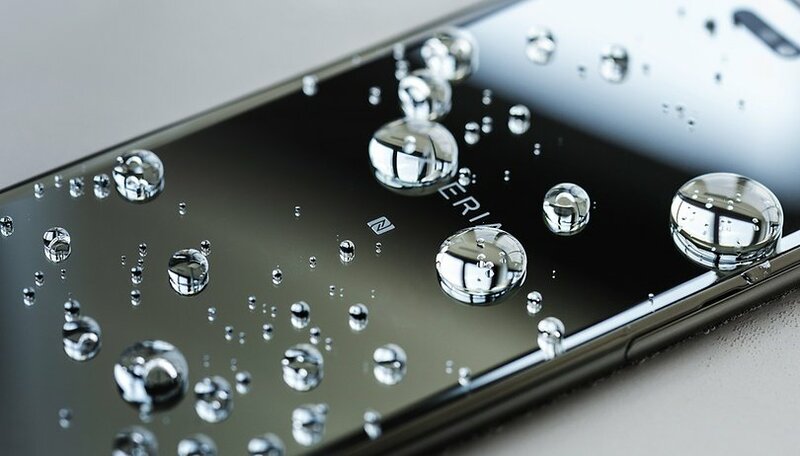 Gizchina, which specializes in the Chinese smartphone market, showed a screenshot of a test result of a smartphone identified as Sony Xperia XZ2 Pro with the internal designation H8116. The fact that the benchmark identified the Xperia smartphone with the internal Sony designation H8116 as Sony Xperia XZ2 Pro is confusing, but not relevant. The display resolution is crucial, because the browser test shows 424 x 848, which means that the display of the Sony top smartphone is launched with a 2:1 (18:9) aspect ratio. In addition to the aspect ratio, the screenshot of the benchmark result also contains other interesting information. Sony seems to be already testing Android 8.1 for the Xperia XZ Pro. This would definitely be a good idea, because at the IFA 2017 in Berlin, Sony, with the Xperia XZ1 and XZ1 Compact, was one of the first manufacturers to follow Google in presenting products with Android 8.0 Oreo. Which are you most looking forward to at MWC 2018? Choose “Samsung Galaxy S9” or “Sony Xperia XZ Pro”. In the past, Sony Mobile was known for its consistent adherence to tradition, the tried and tested. Many people described the design as old-fashioned and outdated, while fans regarded it as independent and part of the brand's personality. Similarly, the side-mounted fingerprint sensor is divisive and it's notable that other manufacturers have been able to tease out more from Sony's own image sensors than the PlayStation makers themselves. With the switch to the 18:9 format and the trend towards bezel-less displays that take up the entire front side, (now dominating in the mid-range as well as flagships), Sony's design department is stepping up to the challenge. Concepts and alleged designs for the new Sony design of the year 2018 have been circulating on the Internet for several months now, but we believe that Sony will basically stick to the rectangular design for the Xperia XZ Pro and will primarily concentrate on dramatically increasing the display size. The Xperia XZ Pro will certainly continue to be IP68 rated against water and dust and will feature stereo speakers. Sony should continue to use the iconic angular design for the Xperia smartphones in 2018. Even though the first rumors emerged at the end of January 2018 that future Sony smartphones would be equipped with OLEDs from LG Display, it is unlikely that the switch from IPS-LCDs to OLEDs will happen in time for the Xperia XZ Pro. Sony will wait until LG Display will be able to offer an OLED display with 4K resolution in order to market the high resolution as a unique selling point. What will change in terms of display in the Sony Xperia XZ Pro? Primarily, the aspect ratio will probably have to change, because of the huge success of the 18:9 format. In addition, the bezels above and below the screen will be reduced dramatically. When it comes to technical specications, Sony's flagship products have always been among the top-of-the-line smartphones. This should not change with the Xperia XZ Pro. It is certain that Sony will use Qualcomm's Snapdragon 845, and the Japanese company will probably give the XZ Pro 6 GB of RAM. The internal memory should also be expanded from 64 GB to 128 GB, which should be expandable as per usual with Xperia phones. It goes without saying that Sony will deliver its top 2018 smartphones with Android Oreo. It's worth noting that, since last year, Sony Mobile has emerged as one of the few manufacturers to be able to provide timely software and security updates. The Sony Xperia XZ Pro will probably be equipped with a dual camera on the back, with 18 and 12 MP sensors. Rumor has it that the pixel sizes will be 1.33μ m and 1.38μ m and are likely to benefit from light sensitivity, and this is necessary because the Xperia smartphones of 2017 didn't perform well in low light conditions. In addition, you will probably use the dual camera setup to achieve the blur (Bokeh) effect. It is still unclear how large the apertures will be and whether Sony will again rely on the interaction of electronic and five-axis image stabilization, balanced by gyroscope, for image stabilization. The presentation of the Xperia XZ Pro and most likely other smartphones and gadgets will take place on February 26 2018 as part of the press conference. We will also be on site to report on Sony's MWC highlights as soon as possible. We can make an educated guess that the price will be between $700 and $800. A leaked document on the smartphones equipped with Snapdragon 845 shows that the Xperia XZ Pro can be expected in June 2018. As a reminder: The XZ Premium was also presented at the MWC in 2017 and went on sale last June. So the launch of an Xperia XZ Pro in June 2018 would certainly be a good start. Are you considering a Sony phone in 2018? Note 8 is underwhelming. Might sell it off for this and project Fi sim card if price is good. then the PlayStation makers themselves... Than, not then. Nicely spotted. I've corrected the offending vowel. Well it looks like Sony is moving out of the dinosaur era with their design. Finally, & a fingerprint scanner on US models. There is a God. I had hoped an American Carrier would handle their line. Maybe eventually! I would like to see how good the 4k display is & video!